Skin care that smells like chocolate? How about tastes like chocolate? I am not going to go there because after all it is YOUR blog and not X-Rated. So glad you are well again. I assumed you were just having fun on the beach! PS did you get a package from me because if you didn't then I think someone in customs is enjoying it. So glad you are feeling better now and I hope all that splodgyness has gone from your left side. Your perfume bottle is just beautiful. The pen really makes it. I was going to try out the new skin cream until you said about the chocolate. I'm worried that in a half awake state in the mornings I may just have a lick. I guess that would wake me up in a hurry though. Love your pics as always. Skin care that smells like chocolate, sounds great. Enjoyed the drawings this week. Glad to hear that youa re feeling better. Oh my, poor you!! Seems to be a lot of that going around this year! Glad you're on the mend!! Love the new sketches of all the yummy products and perfume!! 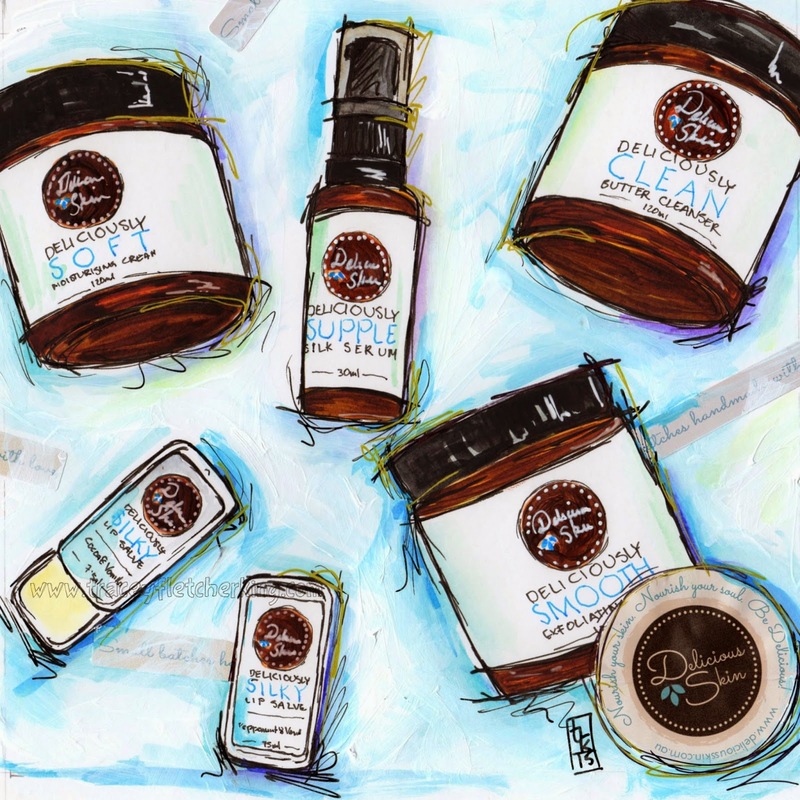 Chocolate skin care sounds heavenly, Just amazing all your drawings this week. Good to hear that you are feeling better now. Sounds like you had the kind of flue that I had when I was around 23-24 years when I thought that my time had come. Honestly; I fellt like I was going to die! I couldn´t move my body an inch for two weeks cause it hurt so terribly and my stomach turned inside out. Haven´t been that sick ever since. Anyway; happy that you are feeling better again by now and are back in business with all your paintinggear. 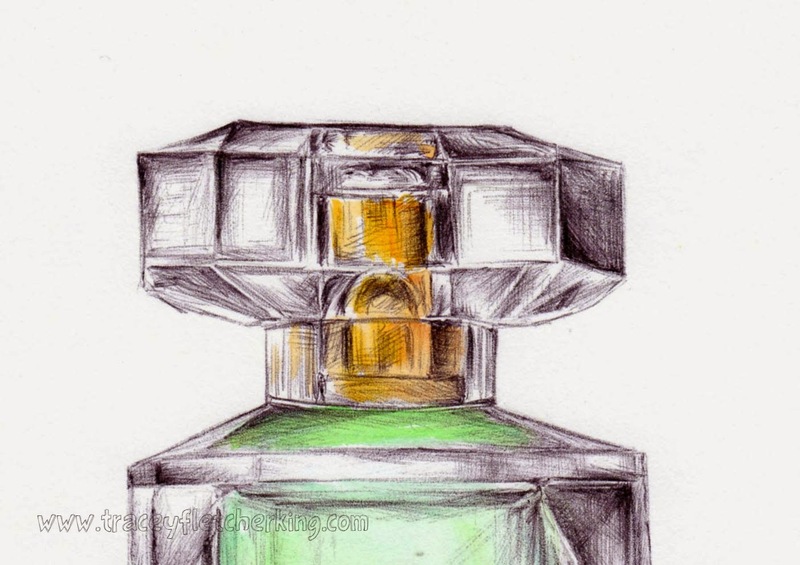 I LOVE your perfumbottle it´s super nicely done!! I´m waiting to the the result of the other bottle as well :) Take care Trace! So happy to have you back with us Trace. It sounds like once again you've been through the mill and back again... you poor thing. I love this painting. The colour and lines are perfect. 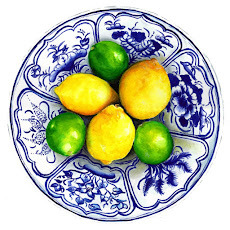 I wish you a lot of health! happy PPF! The shading on that perfume bottle is amazing! I love glass but find it very difficult to sketch...nice lesson here. Chocolate skin care? Sounds fattening to me (without the taste). I would buy it for sure! sorry to hear you were SO ill after your vacation. Glad to see you're on the mend. Those perfume bottles are spectacular-the shading is amazing! Love the skin cream art too! i'm heading over to check out chocolate skin care products ... yum! glad you are feeling better! Hi Tracey. Sorry to hear about you having the flu. You don't need those problems. I'm happy that you are feeling better and hope that dang rash goes away. Your bottles are amazing. I love them. I'm betting that perfume smells wonderful. I need to look that name up. Feel better, amazing work as always. Take care of yourself. Oh I forgot. Yay, you have the mushroom kit too. Love it! What an amazeballs perfume bottle Tracey. Truly one of your best! And why haven't manufacturers cottoned on to the chocolate smelling skin care products before now?! I'm sure more ladies would have taken better care of their skin! I do hope you are about fully recovered from the crap-kicking flu, it's really sh!t when you get that bad. You are a hoot ! How you can be so funny when you are in such a state is beyond me. I LOVE your posts...they are uplifting ...and inspiring. Your sketches are divine. Who gives a stuff about pen on the duvet. The effect of the watercolour paint with the ball point pen is very effective, I agree with you! Well done. So glad to hear you are feeling better! Thanks for sharing! 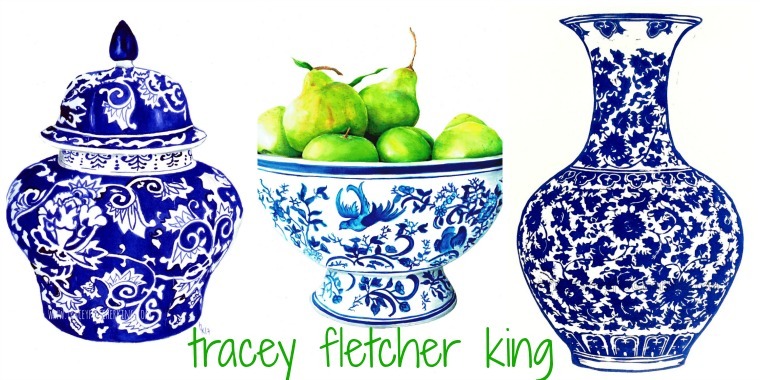 such lovely detailed pieces Tracey! Happy PPF! I think you did come home inspired because you really nailed that bottle. It looks like a photo and very glass like. Fantastic work. I'm so sorry to hear you got that horrid strand of the flu that's been going around, but glad you're better. 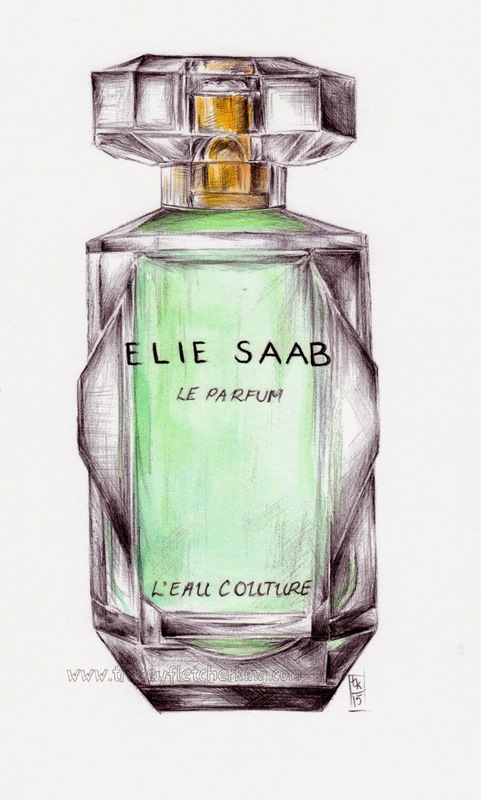 I love your watercolor and pen illustration of the perfume bottle that Sinus gave you for Christmas. Blessings and Happy PPF! The reality is much, much worse and horrible looking! Your work is amazing, I'd never be able to create such light! I'm so glad you are feeling better. I, too, had the nasty flu this year, even though I had a flu shot. It does wipe you out. I am happy to say I viewed your video on Soul Food. It's so nice to put a face with a name. Unfortunately your was the only video I was able to view. Don't know whether the site was having problems that day. Anyway, I so love your work. I'm glad you're feeling well again! Hope it will remain! Love your artwork! That skincare range sounds divine! Wow, I never would've guessed that was ballpoint pen. It looks great! So sorry to hear about that nasty flu you got, and glad that you're back on your feet now and raring to go! First off, thanks for visiting my blog, Tracey. You are never far from my mind. I am so sorry about the flu you had to endure. I didn't realize that bit about the lack of lymph nodes and rash. As usual your art is astounding. I love the way you achieve the transparent look of the perfume bottle. What a gift You mentioned in your comment that you like straight lines and simple colors (or something of that order), well, so do I and I think that's why I am having trouble getting "into" this book alteration business. I love watercolors and yours are the best!